While it's been "Hot as Hades" topside this week it's been cool under da sea! While turtles and sharks are always a fan favorite, Cory and Kristen have been busy "going Macro" finding all the little things a lot of new divers typically miss. Lettuce sea slugs, which, despite having "slug" in their name are amazingly colorful and have been spotted on several dive sites on Long Reef. 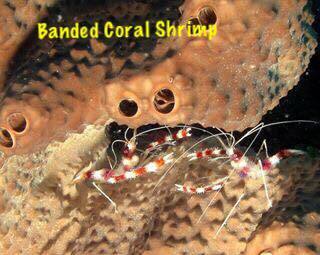 Spotted cleaner shrimp Pederson cleaner usually found hanging out with Anemones, Red snapping or "pistol" shrimp hiding in corkscrew anemones as well as Banded Coral Shrimp usually found on Giant Barrel make for some excellent photo ops. Of course, you never know when, like today, two majestic Eagle Rays are gonna cruise past, so don't forget to look up! What to get out of the heat and under da sea, but never "done" Scuba diving? No problem Big Mike loves taking divers out to Discover the undersea world! All you need is a towel and a swimsuit. Come on, let's get wet!